MIAMI, Florida (CNN) -- A Florida man used facilities at the University of Miami to run a multimillion-dollar Ponzi scheme and recruited school employees for the operation, angry investors and investigators tell CNN. UM business school graduate Andres Pimstein confessed to operating the scheme, police say. Pimstein, 48, refused comment on the failed scheme. But the FBI is now investigating the operation, Special Agent Judy Orihuela said Wednesday. Pimstein had a joint bank account with the university's director of contract administration, Alan Weber, according to bank records. Black said investor meetings were held in a UM conference room used by Weber, and as many as three dozen current and former UM employees -- including two former senior university officials besides Weber -- bought into Pimstein's operation. Weber's wife, Mary, said her husband was a victim, too, and he no longer works for UM. She declined further comment. The university says that it's aware of the investigation into Pimstein and that "a few current or former employees" invested with the company. "University funds are not involved," Miami spokeswoman Margot Winick said. "The university will cooperate fully with the investigation." Black was hired by real-estate investor Victor Gonzalez, who said he put in more than $3.5 million. He said Pimstein offered him an 18 percent return on a short-term investment -- but instead, Gonzalez expects that $2 million of those funds will be lost. "I want to believe people," Gonzalez said. "I can't believe somebody would go to so much trouble to try to take advantage of you." Gonzalez said investor meetings were held at University of Miami conference rooms in the building where Weber worked. In addition, Black said, several university computers were used to monitor the bank accounts. "One time we met, just me, Pimstein and Weber, at the University of Miami conference room," Gonzalez said. "It was specifics about what the interest rate was going to be. They wanted me to be on the board of directors of this company." The business collapsed this year when Pimstein was no longer able to pay investors, Black said. The operation Pimstein launched "grew like a virus," he said, drawing in accountants, lawyers, business people and retired law enforcement officers around the United States before it fell apart. "Some dipped into their 401(k) for the quick turn-around," he said. Several investment groups besides the one at UM were set up, and those groups recruited new investors, Black said. "That investment group leader thought it was real," Black said. "He or she got points, got a percentage off the top of all their investors so they would solicit more investors." Gonzalez filed a lawsuit against Pimstein and his company, the Bottom Line of South Florida, claiming that the entire arrangement was "a classic 'Ponzi scheme,' a fraudulent investment operation that involves paying earlier investors from the principal of later investors, rather than from profits generated from real business." Pimstein has refused comment. 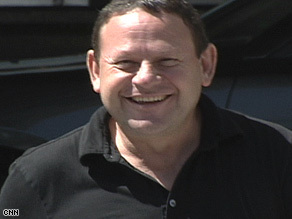 When asked whether he was a con man, Pimstein said, "I don't have an answer for that." But Miami-Dade County police said that Pimstein admitted to the scheme in a taped interview and that the tape is now in the hands of the FBI. "The FBI is investigating the whole Ponzi scheme," the FBI's Orihuela said. Gonzalez said his biggest question for Pimstein would be, "why?" "I don't believe you needed the money to do this, so why? Why did you do this?" he said. According to the lawsuits filed by Gonzalez and Jorge Azor, Pimstein's former business partner, Pimstein presented detailed flow charts and fake invoices to would-be participants, telling them his firm would be selling perfumes and electronics to Ripley, a large department-store chain in Chile and Peru. "In reality, Pimstein and the Bottom Line had no business relationship with Ripley," states the Gonzalez lawsuit, filed in June in a state court in Miami. The Bottom Line began as an accounting firm run by Azor, according to Azor's lawsuit. He went into business with Pimstein, a childhood friend and high-school classmate, in 2001 to sell goods such as perfumes and swimwear to retailers. As the scheme was unraveling, Azor invested $250,000 with Pimstein. He now alleges that those funds were wrongly converted to the scheme, and he accuses Pimstein of forging his signature on documents guaranteeing repayment to other investors. Azor's lawyer, Keith Grumer, said his client is cooperating with investigators. "He does not seek a public airing of his loss, but does not want his business or reputation damaged by association," Grumer said in an e-mail. Gonzalez said Pimstein admitted to him the investment operation "was a scam." "He would have just stopped at nothing to get any cent he could out of anybody," Gonzalez said. Do you have a tip or story idea? Send it to the CNN: Special Investigations Unit.